Mayuri Pralhad Patankar is a research scholar currently based in Delhi. She writes about literature shrines and folklore of the Vidarbha region of Maharashtra. 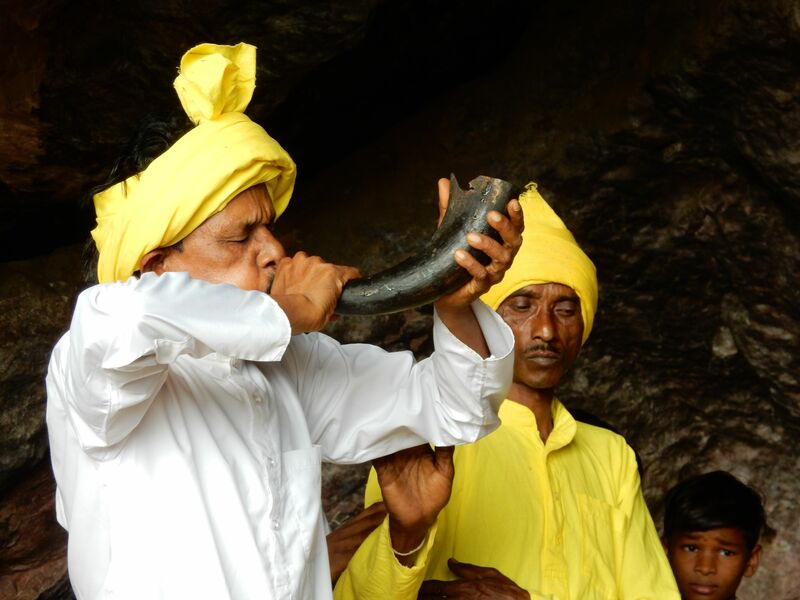 A Kali Kankali shrine is located in the Kachargarh Caves of Maikal Hills in the Dhanegaon village of Gondia district, Maharashtra. 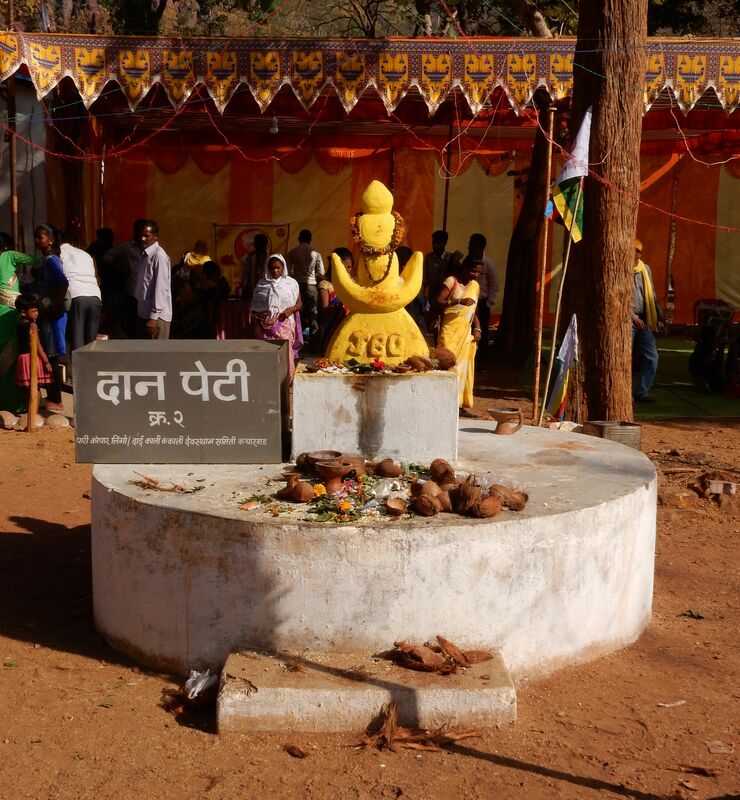 The shrine is known as utapatti sthal among the Gond community. In the folklore of the region, Kankali, the daughter of the mythical king of Chanda named Yadurved, comes to acquire significance due to her being the ancestor of the Gonds. 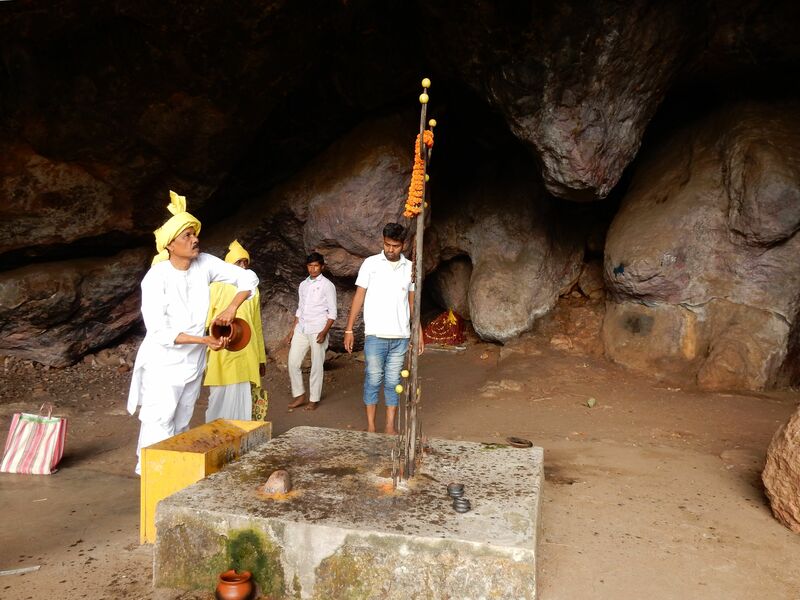 A clusters of shrines and deities are located in the caves. 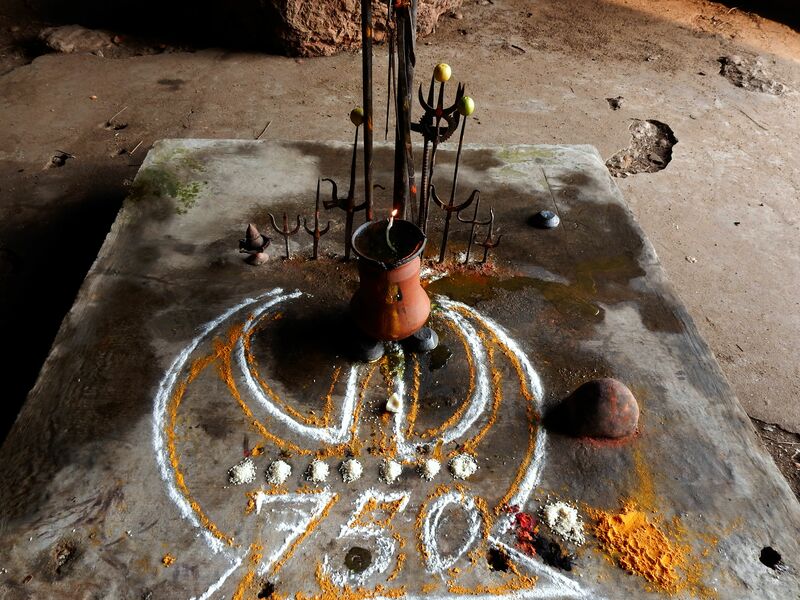 This image gallery documents various processes involved in the ritualistic veneration of the deity Badadev.